The criminal prosecution of members of the SS-Staff Members of the concentration camp Lublin-Majdanek began already during the war. From 27 November to 2 December 1944, the first trial was held in Lublin. The charges were for participation in the mistreatment and murder of prisoners, four members of the camp SS and two German Kapos were responsible and had to defend the charges. One of the accused committed suicide, the others were sentenced to death and hanged in public on December 3, 1944 on the grounds of the former camp. In the years 1946 to 1949 further trials were held in Lublin, of the former concentration camp personnel. Around 100 members of the camp, primarily guards, who had been arrested in Germany by the Allied Occupation Authorities were extradited to Poland. The majority of defendants were members of the SS, but there were also others accused of certain crimes in rare cases. Two thirds of them were sentenced. 14 defendants to death, one defendant to life imprisonment, 20 defendants were sentenced to ten years, and about 40 former camp staff received the loss of "Freedom" and imprisoned from five to ten years. Under the condemn was also the Oberaufseherin (Female Supervisor) of the women concentration camp, Else Ehrlich, who was executed 1948 for the Beihilfe (assistance) of murder. 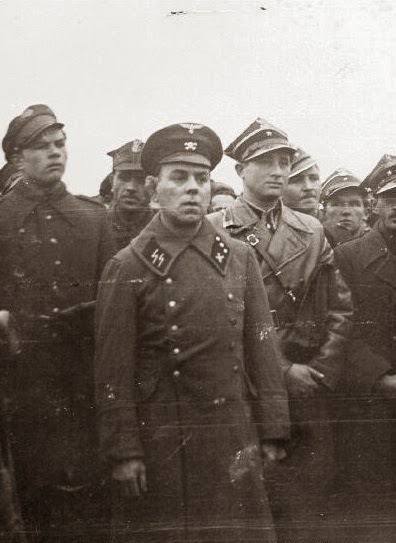 In the early postwar years, members of the crew of the SS concentration camp Lublin-Majdanek were also convicted at other Allied and Polish Tribunals. In 1947 a trial against 40 members of the Concentration Camp Auschwitz took place in Krakow. During these proceedings some Functionaries of Majdanek have been made accountable for their crimes and behaviour. Erich Mußfeld, the crematoria boss, and Arthur Liebehenschel, the Commandant, were sentenced to death, three guards were sentenced to several years in prison. In the trial of the camp occupation of the Dachau concentration camp in 1945 the Commander Weiß, storage engineer Frederick W. Ruppert and the SS Medical Orderly Anton Enders were sentenced to death. A year later, the death sentence was imposed on the notorious prison camp leader Anton Thumann and the SS doctor Alfred Trzebinski because of the crimes committed in Neuengamme concentration camp for crimes committed there. In 1960, the Central Office of the Regional Judicial Administration in Ludwigsburg (Germany) launched investigations to the facts in Majdanek, which ended with a sensational ending, the so-called Majdanek process, and had to be retried before the District Court of Düsseldorf (1975-1981). In the dock sat 15 people, including six women. Hermine Ryan-Braunsteiner, Rapport leader in women's concentration camp, was convicted of their guilt to a life imprisonment, while seven other accused for aiding in the murder of prisoners, received terms of between three and twelve years, the rest were acquitted. A total of about 170 members of the Command-Staff and Guards of the concentration camp Majdanek had been put on trial after the war. Former SS-Obersturmbannfuehrer Anton Thernes (standing, left) in front of a penal court on trial for crimes committed at Majdanek, 1944, Poland'. Lizzie Frieda Else Ehrich was a German SS guard in several concentration camps . After her completion of her school career she was working in a butcher shop. She volunteered for service as a guard at the Ravensbrück concentration camp and graduated the course there from August 15th 1940. At first she worked as a supervisor of block 13 until she was promoted in the summer of 1942 as Rapport Leader. In mid-October 1942, she was sent to Majdanek, where she after a short time acted as Oberaufseherin. Ehrich took part at the selection for the gas chambers. During the evacuation of Majdanek she came to the Plaszow concentration camp and after its evacuation in September 1944 to Neuengamme , where she worked until April 1945. After the war, Ehrich was in May 1945 arrested by members of the British Army in Hamburg and initially detained in internment at Neumünster. Soon after, she was brought into the war camp PWE 29 to Dachau, where she shared a cell with Maria Mandl. On November 22, 1946 Ehrich was extradited to Poland for the Lublin-Majdanek process on June 10, 1948, accused of her involvement in the selections process in Majdanek and of ill-treatment of detainees in both concentration camps Majdanek and Ravensbruck and sentenced to death by the rope on the 26 October 1948. The first estimates of the number of victims of Majdanek were the result of the work of the Polish-Soviet Investigative Commission, which had been founded in August 1944. They were guided in determining the losses more for propaganda motives than of scientific interest. Furthermore they went from the wrong assumptions about the length of the existence of the camp and the capacity of the gas chambers and the crematoria ovens . On this basis, members of the commission came to the conclusion that at Majdanek, about 1.5 million people had come to their deaths . Four years later, the judge Zdzislaw Lukaszewicz published a detailed article about the Majdanek camp. The author distinguished four phases of the camp's existence, due to the differing numbers of inmates during these periods. He also took into account the fact that due to improved living conditions and the help of charitable organizations, which significantly reduced the mortality rate from the second half of 1943. However, he increased again, without any source document, the number of deported prisoners, the death toll of the unregistered prisoners and the average number of prisoners living in the camp at anyone time. In some cases, he used incorrectly calculated indicators of the mortality rate. According to his calculations, 360,000 people perished in the camp, including 200,000 registered prisoners. The largest groups among the victims were Jews (200,000) and Poles (100,000). The results of Lukaszewicz went permanently into the historiography of Majdanek, and are still accepted in scientific publications and reference works both in Poland and abroad. Tatiana Berenstein and Adam Rutkowski, already figured the number of Jewish victims at Majdanek at 120,000, that are 80,000 less than Lukaszkiewicz. However, this did not lead to a revision of his calculations, which is partly due to the fact that until the 1990s in the 20th century, the prisoner mortality in the concentration camp Lublin was not a subject of historical studies in depth, and are even now published of events that took place at that time in many important publications. The difficulties which presented a balance of victims perished at Majdanek, demonstrates the wide-ranging investigation that led the West German judiciary in the years 1960 until 1974. They collected 25,000 pages of evidence that were used later in the process in Düsseldorf (1975-1981). In the court's opinion, we read: "On the total number of inmates perished in Majdanek [...] in the evidence we adduced, how many people died, we have no accurate idea. At least 200,000 victims, including at least 60,000 Jewish people, the circuit court chamber considers this figure as certain ". A twist in the research on the death toll of the concentration camp Lublin came in 1992, as Czeslaw Rajca presented new figures, by the number of those subtracted from the total amount of prisoners who were released or were transferred to other camps. He came to the conclusion that approximately 235,000 people died in Majdanek, including 110,000 Jews and 123,000 non-Jewish prisoners, mainly Poles. It should be emphasized that these findings are estimates only that can not be confirmed by archived material. On Author's calculations of the number of non-Jewish victims were based among other things on preserved archival documents, in which deaths of prisoners are registered or recorded. A particular source is the value of death books (1,940 names) which are obtained for the period from May to September 1942 (6,701 names) and from March to early 1944, as well as the copy of the register of deaths for the period from 20 November 1942 to January 21, 1943 (1,924 deaths). Apart from Jewish prisoners a total of about 19,000 people of different nationalities died in Majdanek, among them mainly Poles and Belarusians. Based on this research, a total of 78,000 people lost their lives in the concentration camp Lublin-Majdanek. Institute for Research on Anti-Semitism-Berlin. In May and June 1942 prisoners were first deported from the Lublin concentration camp to other camps: 1,400 Jews were placed by the SS in two transports to Auschwitz. Among them was Walter Rosenberg, who, along with other authors wrote a famous report on the crimes in Auschwitz after his escape under the pseudonym as Rudolf Vrba. However, the transport movements between Majdanek and other camps intensified only in the year 1943, when the demand for labour rose in the camps of the inner Reich, which were employed in the production of armament production (Rüstungsproduktion). The transfers from Majdanek had already taken place during the year 1943/44, in the context of the gradual evacuation of the camp. By the end of March 1944 a total of approximately 20,000 registered prisoners and several thousand temporarily detained Polish farmers (Bauern) were deported from the concentration camp Lublin. [Himmler was convinced that after Stalingrad (23 August 1942 – 2 February 1943), Germany had lost the war, and took up clandestine negotiation via Sweden for an end of hostilities with Western Allies. This was one of the reason he was killed in captivity (he never took poison) by an British Agent, most likely Robert Bruce-Lockhart, as he, Himmler, would have embarrassed the Tribunal during the Nürnberg-Trials, HKS] In early November 1943, the Germans worked out a plan for the evacuation of Lublin. This foresaw the destruction of important buildings, especially military installations, using time bombs. In the proposal there were 22 objectives to achieve, in the last paragraph, the concentration camp Lublin was mentioned with the remark that the camp was to be destroyed by arson which should be carried out in different places. From autumn of 1943 rumours were circulating of a liquidation of the camp among the prisoners . First, they feared that all would be shot. As of January 1944 they seemed to believe that deportation into the camps of the Reich a more realistic alternative . At that time, the Eastern Front was still far away. The evacuation of the German officials (Beamte) of the Lublin district was first intimated on the March 19, 1944 , when one of the bridge-heads at the city of Kovel in the Ukraine a distant of 250 kiilomtre from Lublin was reached by the Red Army. The commander of Majdanek then asked the Berlin authorities for instructions . After the WVHA had ordered the evacuation of the camp , they started with the first preparations : The prisoner card files were sorted , a portion of the barracks were removed and the magazines emptied . The camp office was preparing transport lists for the deportations . The able-bodied prisoners were sent to the camps in the Reich territory , a large proportion of patients went to the Auschwitz concentration camp . Mid- March 1944 there lived more than 9,000 prisoners at Majdanek , the prisoners of war in the military hospital camp are not included. Almost half of them was sick, many of them beyond help . From March to 6 April 1944 1,940 deaths were registered in the camp . Taking into account the date of the first and last evacuation transport from Majdanek, it can be assumed that the camp was four months in a state of evacuation. Most of the prisoners , however, were taken away in the first three weeks of April 1944. 1,150 detainees had been transferred to the concentration camp Natzweiler , half of them were immediately trams-shipped to Bergen-Belsen. About 800 people are deported to the concentration camp Gross-Rosen , 600 came to Plaszow , and 900 female prisoners were brought to the concentration camp Ravensbrück. For over 4,600 prisoners the concentration camp Auschwitz was their End-Station, how many survived out of this consignment is not recorded. Only 200 prisoners remained as a clearing up commando in Majdanek. Later, several hundred Jews came from the Lublin evacuated satellite camps in Budzyn and Blizyn to assist them. 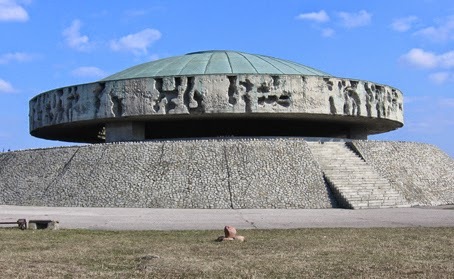 After the liberation of Majdanek, the Red Army rebuilt some of the camp barracks into a Garrison, and part of the Polish Army was stationed there as well. In August 1944, the Soviets established on one of the fields an NKVD camp, and interned for some weeks Polish soldiers as well as the Farmers Working Battalions as they were basically in opposition as members of the Armia Krajowa, to the communist authorities. They were later deported to Siberia. Short term, they brought former German prisoners of war into the barracks, this was parallel when the 'Documentation Work' began, named the "Polish-Soviet Extraordinary Commission for the study of German crimes in the extermination camp Majdanek in Lublin", interrogated numerous witnesses and conducted field visits, where they made detailed reports and sketches. They also submitted an application to build a museum on the camp grounds. In autumn 1944 the State Museum at Majdanek started its activity. This institution was created under extremely difficult conditions, which were a result of the takeover by the Communists in Poland. By the fall of 1945, almost the entire camp remained under the control of the Russian military, and had no intentions to prevent not only numerous depredations and thefts, but also participated themselves to the destruction of the camp relics. 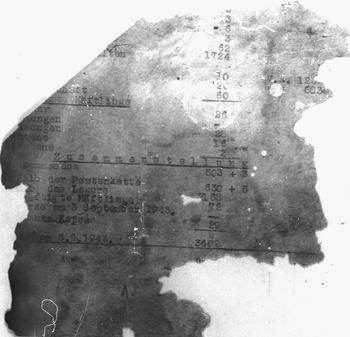 The Soviet soldiers fell not only on features of the camp, but also destroyed or retained a large portion of the documents from the offices of the camp. 'Building No. 41, that housed the gas chambers in the Majdanek camp'. The work of the museum in the first two decades has focused on the development and preservation of the historic fabric as well as enlightening, and generic works. The research only began in the 1960s, it is to this day still going on. On May 23, 1945 Britain's secret agents had secretly and criminally liquidated one of the most wanted men in history, for whose proper public trial and punishment the blood of millions of his victims cried out. NOTE: About the authenticity of these new Himmler Documents, documents discovered in Britain's Public Records Office, Kew, London, confirm revisionist claims that Himmler was liquidated by the British secret service on Churchill's orders, and did not commit suicide shortly after his capture as conformist historians have long maintained. Winston Churchill had long agitated in his War Cabinet for a secret plan to be approved between the Allied leaders ordering the execution without trial of a number of the enemy leaders, including Himmler. See my book "Nuremberg, the Last Battle" and the forthcoming volume iii of the Churchill biography. Meeting at Hyde Park in September 1944, Churchill had readily persuaded Franklin D Roosevelt to sign on to this plan for lynch justice, but after Churchill carried the document to Moscow in October 1944 Joseph Stalin surprisingly refused to agree, insisting instead on proper trials for all enemy war criminals. IN 1999 my publishing imprint Focal Point Publications invited Californian writer Joe Bellinger to speak at Cincinnati on The Strange Death of Heinrich Himmler. He came to the same conclusions. Impressed by his narrative there we paid him over $11,000 to enable him to travel to Washington and London to complete his research. He never made those trips, never finished his manuscript, and unfortunately did not learn of the files which have now been released. The "silencing" of Himmler raises again the question of whether Churchill really had been negotiating with Himmler for nearly a year. In August 1944 the head of the secret service showed him at least one document "from Himmler," and Churchill assured the secret service chief that after reading it he had safely destroyed it: 'Himmler telegram was kept and destroyed by me. WSC.31.viii'. Hitler was evidently aware of what Himmler was up to, because on September 12 the Reichsführer discussed with Hitler "peace feelers to Russia or Britain." A few days later, however, on September 18, 1944, the British intercepted a German intelligence signal that Himmler 'forbids by W/T (wireless traffic) all contact with English since their offers are bluff' -- as no doubt they were. See PRO file HW.1/3196. Rumours emerged last year (2004) that Churchill had personally ordered the alleged silencing of Benito Mussolini, and that the order had been handed by an SOE officer to Italian partisans soon after. Mussolini and his entire Cabinet were liquidated by machine gun squads without trial in the closing days of the war. "During our interview the PM mentioned that Himmler appeared to be trying to show that he wasn't so bad as painted & PM said if it would save further expenditure of life he would be prepared to spare even Himmler. I suggested there were plenty of islands he could be sent to. "Real historians have long doubted the conformist version of how Himmler died, namely that he obligingly swallowed poison when he realised the game was up. Patient research revealed that the official files on his death had oddities, discrepancies, and inconsistencies: the autopsy performed on the corpse did not give the cause of death; a vital page had been retyped; there was no message in the files of 21 Army Group, Field-Marshal Sir Bernard Montgomery's headquarters, reporting the event to London. Whatever had been there, it had gone. Now come documents from the Public Record Office (record group FO 800, file 868), which provide more than just a smoking gun. What is truly extraordinary is not so much that the conformists have willingly overlooked the inconsistencies for over sixty years but that those involved in, or aware of, the murder -- who included Prime Minister Churchill himself -- had kept quiet about it. 'Further to our meeting yesterday morning, I have been giving some serious thought to the little H situation'. We cannot allow Himmler to take to the stand in any prospective prosecution, or indeed allow him to be interrogated by the Americans. Steps will therefore have to been taken to eliminate him as soon as he falls into our hands'. Please give this matter some thought, as if we are to take action we will have to expedite such an act with some haste. Lockhart minuted two days later in handwriting: "I agree, I have arranged for Mr Ingrams to go for a fortnight. R B-L, 12/May/1945." It is significant to note from the diary of General Dempsey, commanding the British Second Army in Northern Germany (PRO file WO/285/12), that on Monday, May 21 he visited both the detention camp at Westertimke and the German concentration area between Bremervörde and Stade. We know that Himmler and his two adjutants Macher and Grothmann had been arrested at Bremervörde on May 21, 1945, but -- so the story goes -- Himmler was not identified until they arrived at Westertimke on May 23, 1945. The former Reichsführer SS was carrying a letter to Field Marshal Sir Bernard Montgomery, the British field commander (which has vanished). His only cyanide capsule was found in his clothing after he had been ordered to strip naked, and it was handed to Michael Murphy, head of British Illustrated London NewsIntelligence at the Second Army. According to The Illustrated London News story a few days later, a "second" capsule was surrendered to the medical officer at Himmler's final destination, the ominous house at No. 31a Ülzener Strasse in Lüneburg -- which raises a number of obvious questions. House of death after his identification, according to the official accounts, Himmler had answered questions, eaten a thick British Army sandwich, and been driven to the house in Lüneburg -- from which he emerged dead. Although the British military files appear meticulous, even listing with suspicious detail every person present in the room at the moment of death, many facts did not fit into place. The prisoner's nose had been broken, according to The Illustrated London News artist who sketched the body. How had he obtained the cyanide capsule he had allegedly been hiding in his mouth (let alone answer questions and bite into that sandwich)? The photo above was sent to me (Further Glory) by Gasan, a reader of my blog, who believes that Himmler was murdered and that the photo above shows that Himmler’s nose had been broken. Heinrich Himmler was captured by British troops on May 21, 1945 and was “silenced permanently” . The capsule descriptions varied, and bore no resemblance to what the standard issue capsule actually looked like. And more (but wait for my upcoming Himmler biography). May 24, 1945At 2:50 a.m. that night (it was now May 24, 1945) "Mr Thomas" wired from Bremen to the Foreign Office for Bruce Lockhart in a top secret code (jj jj jj jj is the clue: it was a one-time pad). "Further to my orders we successfully intercepted H.H. last night at Lüneburg before he could be interrogated. As instructed action was taken to silence him permanently. I issued orders that my presence at Lüneburg is not to be recorded in any fashion, and we may conclude that the H.H. problem is ended." Bruce Lockhart significantly noted on this telegram, "copy to PM" -- i.e., to Churchill -- "May 25". Brendan Bracken, Churchill's obnoxious red-headed confidant (left, with friend: Clementine loathed him), was also in on the action -- a war crime, despite Heinrich Himmler's dark record, as he was a prisoner of war who had surrendered to British custody. "Further to the good news of the death of Little H, I feel it is imperative that we maintain a complete news blackout on the exact circumstances of this most evil man's demise. I am sure that if it were to become public knowledge that we had had a hand in this man's demise, it would have devastating repercussions for this country's standing. 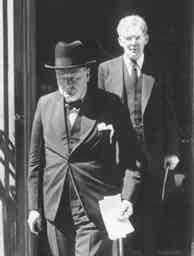 "Quite so: Britain's secret agents had secretly and criminally liquidated one of the most wanted men in history, for whose proper public trial and punishment the blood of millions of his victims cried out: and for no other visible reason than to conceal that for a few days toward the end of the war, Churchill had negotiated with him on peace terms. "I am also sure [continued Bracken] that this incident would complicate our relationship with our American brethren; under no circumstances must they discover that we eradicated 'Little H', particularly so since we know they were keen to interrogate him themselves. I am of the opinion that the special SOE/PWE Committee and team can now be dissolved, even though Mallet is still negotiating with W.S. [Walter Schellenberg] in Sweden. Perhaps you could let me know your opinion on this matter." Real historians will now need to do further work to identify the murderer, "Mr Thomas," and the part played by Robert Bruce-Lockhart, who was a principal figure in Britain's Black propaganda war together with Sefton Delmer. Bracken ordered that all his papers be destroyed before his death. Bruce-Lockhart's diaries and papers are in the Hoover Institution at Stanford University, California; a sanitized edition of his diaries was published many years ago, and his papers have probably been weeded too. It is known that when Himmler first established contact with the British, Churchill's initial response was to deal with him regardless of his reputation. But then the secret services stepped in. A fake communiqué was issued claiming that Himmler had offered to betray Hitler, and this caused much confusion and fury in Hitler's bunker in the last few days -- not to mention anguish to Himmler himself. Until the last moment, he believed that he was to meet Montgomery, and when he took off his eye patch and identified himself as Himmler to the British camp commandant, he believed that he would be in the presence of the British commander soon after. Instead, as Colonel Michael Murphy wrote in a handwritten report in an odd turn of phrase to which we drew comment two months later, "I therefore told him to dress, and wishing to have a medical search conducted, telephoned my G-II at my H.Q. and told him to get a Doctor to stand by at a house I had had prepared for such men as Himmler." 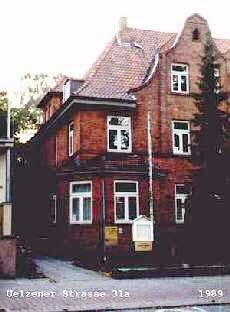 This was the house from which Himmler emerged lifeless, wrapped in a blanket. Many months ago we had already detected that page 2 of the three-page report in the British Second Army intelligence unit's war diary, recording Himmler's death, had been retyped at roughly headlined the same time -- on the same report pad and using the same typewriter, but by a different hand: clearly indicating that it had been sanitized for some purpose which could only be surmised. Radical's Diary No.26: " I noticed that page 2 of the 1945 Second Army diary, which relates this episode at length, has been retyped on the same typewriter as used for pages 1 and 3, but by a different typist." Illustrated London News runs early story on the "suicide" of Himmler. "Sergeant Carl Sutton," or "Norman Redford" took illicit photos of the body. Description in Feb 1964 by former colonel (British Army) Michael Murphy on the death of Heinrich Himmler, May 1945, written to biographer Heinrich Fraenkel.Selkirk Panton writes (May 1954) on Himmler's end. Sunday Times publishes new Hitler, Himmler photos. War diary on death of Himmler, and Substance of Message from GS9 2. Majdanek was a front base of the SS in Lublin during the German colonization and Germanization . Since the spring of 1942 , there were plans at with the Berlin authorities to produce in this region for the German armaments industry. Nevertheless, Majdanek did not play a great role as a labour camp in the more characteristic sense for either the war economy of the Third Reich nor for the business enterprises of the SS . The camp itself failed to set in motion any large Productions Plants, and the completed workshops were mainly adjusted to the satisfaction of the camps requirements . The low economic importance of the Lublin concentration camp was a consequence of changed German politics in the Lublin district . With the beginning of the mass murder of the Jews during the "Aktion Reinhardt" in March 1942, Himmler dismissed Globocnik from the function of the Commissioner for the construction of the SS and Police Bases in the East. The construction of an SS district in Lublin was postponed . In practice, this meant not only a fundamental restriction of construction activity in Lublin, but also a change in function of the concentration camp , which was originally planned only as a labour pool , had now become an infrastructural component of "Action Reinhardt" in Lublin . However, at this point it met primarily auxiliary functions. 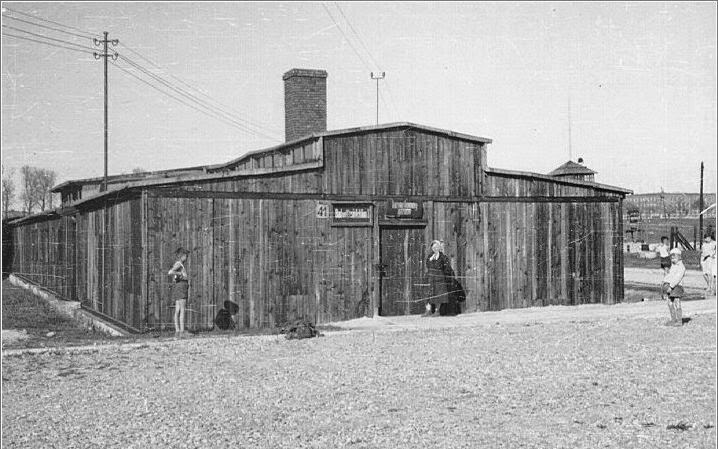 The most important economic centres of the SS in Lublin were labour camps in the Lipowa Street and on the grounds of the former factory "Plage and Laskiewicz " in the Wronska Street (airfield) , which were subject to the SSPF (SS and Police Leader) Administration. The work of the prisoners at Majdanek were primarily related to its own need. In the first year they worked at construction, in the following years on its maintenance. In contrast to other camps, relatively few prisoners worked in the industry or workshops outside the camp, as there were no factories in Lublin or the surrounding area that could employ inmates on a larger scale. For this reason, Majdanek was primarily a labour reservoir for the projects of Globocnik. Jews (males and females) from the camp assorted among other things, personal belongings as part from the "Operation Reinhardt" killed Jews in magazines at the airfield. An average of less than 30% of employed prisoners (from 3.000 to 6.000 people) worked for companies and institutions outside the camp. In contrast to the concentration camps in the Reich, Majdanek had almost during the entire period of its being, a surplus of labour. In the years 1941-1944 there were about 270 work details in Majdanek. In addition to skilled professionals that was carried out by a group of civilian workers, the prisoners were forced to do the hardest physical work. Particularly stressful were earthworks (the expansion of trenches and wells, additional sand extraction), the construction work in the erection of barracks and storage facilities. The degree of exploitation of prisoners in the construction work is reflected in the number of an estimated three million working days, that prisoners performed at Majdanek. 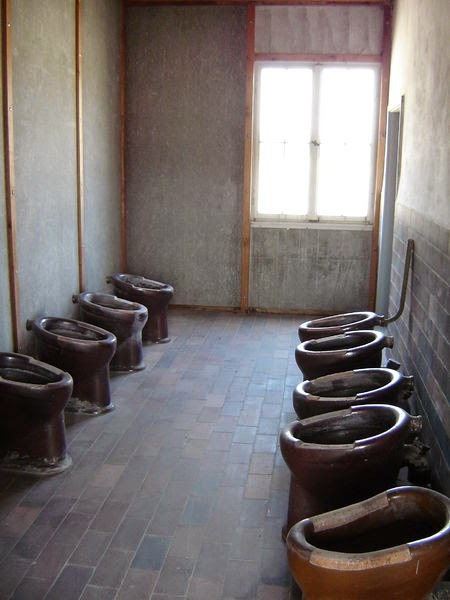 The number of inmates in Majdanek , which were not used for productive work, often corresponded to the number of inmates employed or even exceeded them. This is illustrated from data strength messages that were sent from the prison camp to the IKL . On 2 April 1943, the number of prisoners, that is in the men's camp were 7370 people, of which 2337 worked in 64 commandos , 1746 prisoners were reassigned to work in the camp, 2241 without any work and 1046 laying sick in the infirmary . In the women's camp lived 3952 prisoners , of whom 1535 were working in commandos of various assignments , 1030 were employed in the prison camp, and 1347 were without employment. There were 40 women in the infirmary . Unfortunately, the SS tormented the "unemployed" with various non-productive activities , which were often more difficult than the work in the regular commandos, which gave the guards additional opportunities to sadistic humiliation of prisoners . One example is the work of Jewish women in the vegetable garden , which were forced to carry earth and soil in their highly raised skirts. 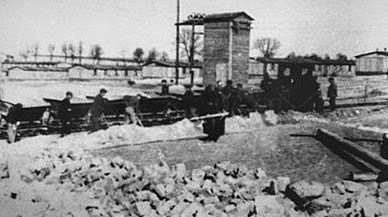 Other prisoners had to pile stones and bricks (Ziegel) on two handled trays a few hundred meters away to place them into a heap. One of them recalls: "The relocation of bricks and stones had to be done in haste (Laufschritt) . We had to bring the stones at a run, and return with the empty tray in a hurry again . After we had done this a few times, we felt completely exhausted . The trays fell out of our hands , we had to gasp for air, even that became already difficult, because an SS-man with a whip stood there and everyone who that even just tried to sit for a moment, was struck with the whip (Peitsche) . The foreman , armed with a shovel handle, did not want to under-perform the SS man and mauling everyone who came into default with his work, was beaten merciless with this racquet ". On September 16, 1942, 42 inhabitants of the districts of Tuczna and Wisznice in the Biała Podlaska poviat were taken to the Majdanek camp. They were arrested two days earlier in retaliation for partisans’ actions. The prisoners were marked with camp numbers 14000. Only one prisoner from this group was released from the camp – Feliks Wilczyński, a 14-year-old boy at that time. A few prisoners made an attempt at escaping from the Majdanek camp or from a commando building the bridge over the Wieprz River in Trawniki. Five inmates succeeded. Other 36 prisoners died in the camp. 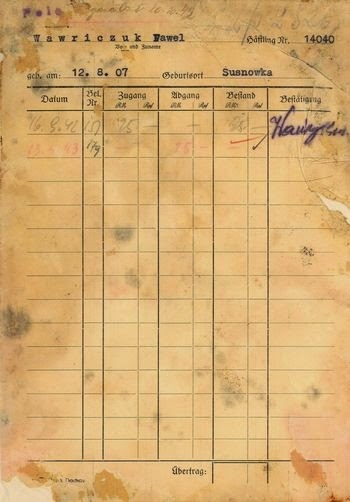 The record sheet shows that of Paweł Wawryszuk, born in Sosnówka in 1907, who managed to run away from the camp. The document is marked with a note “abgesetzt” and a date. It indicated that the prisoner was crossed off the camp records on that day. Paweł Wawryszuk was crossed off on October 20, 1942, but his money (25 RM) was sent to the Reich Bank only on April 13, 1943. Some sections of the prisoners were employed in production facilities outside of Majdanek. The largest commando worked in the Central Agricultural Office Lublin (an average of 130 people) and in Tobacco Plants (88 people) By far on a larger scale , the prisoners were , however, exploited by the Central Construction Office of Wehrmacht Units . 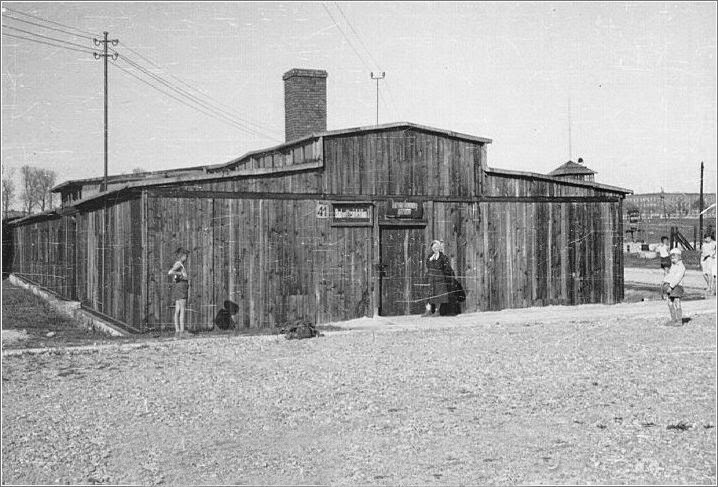 The Central Construction Office of the SS and Police employed prisoners not only in the construction of the camp , but also on various other projects that were located on the site of the airfield, or in its immediate neighbourhood , such as the Supply Depot of the Higher SS and Police Leader Russia-South and Caucasia and the SS Automotive Park East . In addition, they put prisoners onto the construction of the sports stadium and the demolition of houses on sites in Lublin. Prisoners brought stones and debris from graves of a Jewish cemetery into the camp , which were used to fix and pave the paths. Some commandos were also part in the maintenance of military facilities including in Arsenals and the Military Motor Pools. A number of prisoners had to work in an SS company as forced labourers, who were entrusted inter alia with the recording and processing of the property of exterminated Jews. This was especially carried out by the German Armaments Werke GmbH (DAW), the garment factories (BKW) and was founded in March 1943 by Globocnik and the WVHA-Ostindustrie as an Independent enterprise, registered as a Company with Limited Liabilities. This Company set up in Lublin four operations: A Brush Bindery and Basketry, a Brickyard, a Metal Factory and a Pharmaceutical Plant. They employed a total of about 2,000 prisoners, but only a part of them worked in the camp itself. These included those that were organized by the Ostindustrie Society in brush binding workshops that had about 600 people. 29 kapos who oversaw working squads outside the camp. The working conditions of the prisoners differed very often, however, and, as in other camps depending was subject to several factors: the type of work, the location of the job, the national composition of the commando and the behaviour of the overseer. 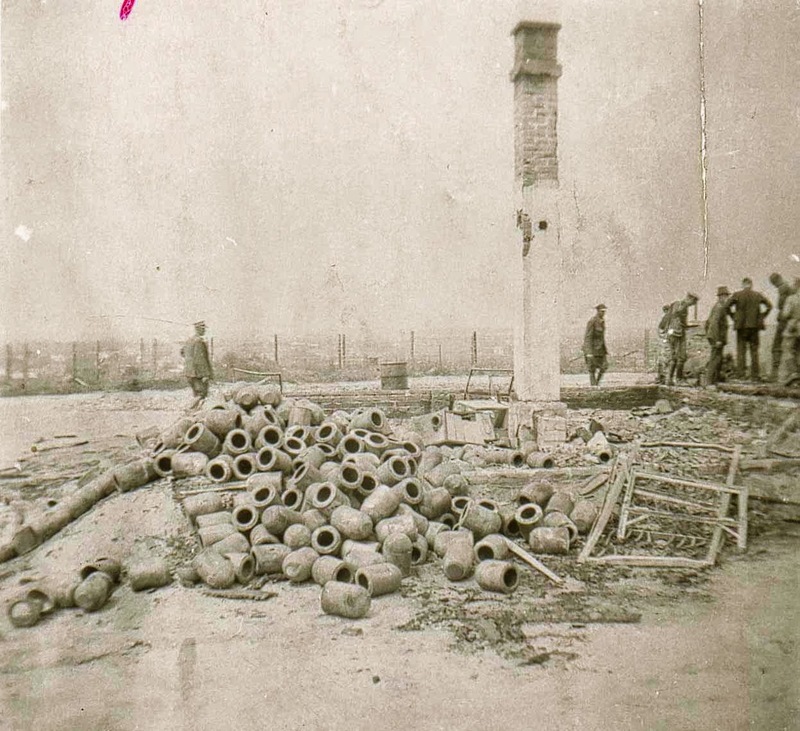 The worst reputation in Majdanek had the Baukommados (Construction Detail). Often the required proper tools or basic equipment was missing, heavy physical work regardless of weather conditions had to be performed in greater haste. Jewish prisoners were exposed in these work details in a special way to the brutality of the SS-men and prisoner functionaries. It was not just beatings and torture of prisoners on the agenda, but often it resulted in deaths. The Majdanek camp was in close proximity to a relatively large city, which before the war had about 120,000 inhabitants and was Wojwod's Economic capital. In its surroundings dwelt exclusively a Polish population. The external conditions were not without influence on the situation in the camp. Between Majdanek and Lublin developed a meaningful, yet often wrinkly official contacts and as well as secrets. This took place from commercial transactions over half of the charitable organizations to contacts with the resistance movement. 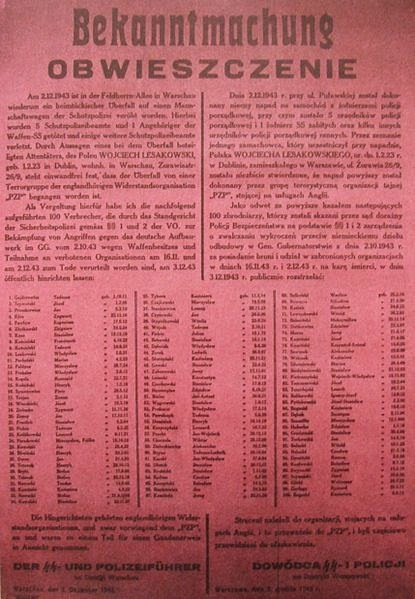 For the Polish companies involved in the construction with about 500 workers hired for this purpose, the camp also offered an acquisition opportunity for hundreds inhabitants of Lublin and the region, whereby Majdanek was an object of welfare, with which you shared the regulated condition for food under the occupation. The presence of external workers in the camp and the venality of many members of the camp crew , especially among the Germans, some favourable conditions for contacting channels to Lublin were very much in progress . Between the camp and the city, a barter system developed . Through the medium of the civilian workers and security guards, clothing, watches , jewellery and blankets were brought into the city . In return, food was delivered into the camp. The prices therefore were significantly higher than on the black market within Lublin. For a gold ring you could receive one or two loaves of bread or a slice of margarine, for example. "It was a flourishing trade in cigarettes , the market price for a pack Junak was dependent on the range between three to four zlotys (this was and is the Polish currency). A chain of middlemen who participated in the smuggling from the Germans on, through the hands of the Ukrainians and Jews. The trade flourished in clothing that had been exchanged by the owners into cigarettes or food. It also dealt in food portions that you drew up from the kitchen. A crust of bread cost two tens. A handful of potatoes a tenner . For these channels, the function prisoners who passed through the gate, due to their position without problems, carried currencies and valuables for which they often obtained alcohol and other delicacies in the city, and subsequently served at their dining table. Poultry, fish, vodka and cakes, that was their daily menu". It should be emphasized that most of the Polish civilian workers did this with unselfish support and also exposed themselves to the risk of serious repression through to imprisonment into the camp. Besides food, letters were often secretly smuggled out, by which the prisoners could get in touch with their relatives or related persons. In the help for prisoners from Majdanek, entire families dedicated themselves to help lost souls. Special dedication showed Antonina and Franciszek Gryga and her daughter. 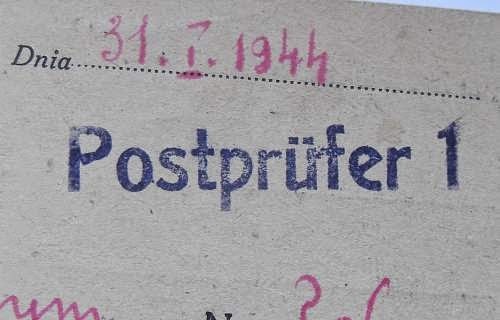 A scarce example of a postal confirmation card, sent from the camp to confirm that a prisoner had recently received a parcel - this service, which ran during the 1943-1944 period, was initiated by the Red Cross organisation and is confirmed by surviving documentation. Note the dual language (German + Polish) format. Since the end of February 1943 charitable institutions, especially the Central Welfare Council ( Rada Glowna Opiekuncza ) and the Polish Red Cross , sent Aid Shipments to Majdanek . In this way the Polish prisoners were supplied with food, medicines and clothes , thanks to the solidarity behaviour, not only Polish prisoners would benefit from these programs but often such as White Russian women, they also received a share from these programs . In the course of a year , from March to April 1944 , headed by the Polish Red Cross, bread and food as well as approximately 100,000 food parcels with a total weight of almost 500 tonnes were delivered into the camp . However, these considerable quantities could not really alleviate the hunger prevailing in the camp . A Polish prisoner was able on average to receive one packet per month, but in reality, the aid was unevenly distributed . Organised help not only contributed to improving the living conditions of the prisoners , but also provided an opportunity for information exchange between the camp and the population of Lublin. To inform the public about the situation in the camp was one of the most important tasks of the conspiratorial organizations whose activities began in early 1943. 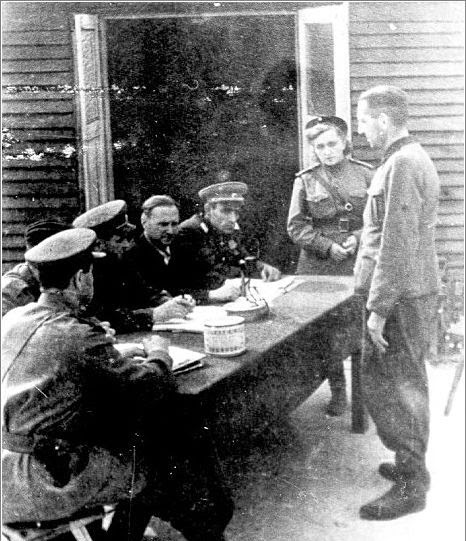 During this time, officials of almost all Polish parties of pre-war Poland and members of the armed Polish Resistance, led by officers of the Home Army (Armia Krajowa), were brought from the Gestapo prisons into the camp. The resistance in Majdanek was made up for this reason above all, of Polish prisoners only. The main objective of the camp underground was the elucidation of the situation in the camp and the forwarding of messages to the outside. They made detailed monthly reports on the situation of the prisoners and the most important events in the camp that the Representation of the Government of the Polish Republic in the country (Delegatura Rzadu Rzeczpopolitej na Kraj) received. The concentration camp in Lublin was throughout its existence in a state of continued construction , which had an impact on the living conditions . From this point , it was often mentioned by prisoners who had been through several other camps , it was one of the most primitive of places . Of these conditions, for example, testifies a prisoner in a statement, that Dachau was a "Retirement Home " (eine Pension) compared to Majdanek. The barracks for the accommodation of prisoners , the so-called blocks , were of wooden structures. On two fields they erected horse stable type barracks , without windows and with walls of only one layer of boards . In the remaining camp areas there were better barracks , they had windows and walls with two layers of boards . In the first year the prisoner blocks did not have any sanitary or ablution blocks in all of them, nor were any basic infirmary aid available to them , but basic facilities were later provided which improved housing and living conditions. Yet the modernization of the barracks was slow and did not extend to all the barracks. In the winter of 1942/1943 the Administration had installed in the barracks , those that were 30 to 40 meters long and 10 meters wide , two iron coal stoves. At about the same time electric power was connected. In the spring of 1943 in addition to the three-tier storey bunks for sleeping, tables, benches and stools were provided for all the barracks. The equipment an inmate received during admission, consisted of a Hessian bag stuffed with straw or wood shavings and two blankets, and sometimes a pillow. In some barracks, while improvement work took place, there was a complete separation of sanitary, sleeping and dining areas. A welcomed improvement of the living conditions began in late summer and autumn of 1943, when the barracks were connected to the sewer and washing facilities, and toilets were installed. Until then, the physiological needs within the barracks took place on buckets or wooden boxes (Holzkisten). During the day, you would use temporary latrines that were in reality sewer holes dug into the ground, sometimes lined with a wooden shaft, which served for this purpose. On the women's field, ditches, without any shielding for privacy served as a toilet, but only over an extended period of time. Particularly troublesome was the lack of water for prisoners. By the end of 1942, the water came from three wells (bores) to the camp. A representative of the Hygiene Institute of the Waffen-SS made an inspection of the camp in mid-April 1942: "The water supply of the POW Camp Lublin is inadequate and does not meet the requirements that have to be made due to health considerations. In the present circumstances there is a risk of disease for the camp and its surroundings". Even the connection of the camp to the municipal water and the sewer system did not solve the water problem, it often resulted in blockages and breaking of pipes. On 3 August In 1943 a representative of the WVHA in a protocol noted regarding the sanitary conditions: "The major problem in terms of hygiene in KL Lublin at the moment is the deficient supply of water, as the main pumping station of the waterworks Lublin has fallen in disrepair in the Moor, which is part of the city." . Under these circumstances it was impossible to ensure in the barracks cleanliness and order, on which the camp leadership officially placed great value. One of the Jewish prisoner doctors writes: "We had no water, no soap, no towels: compliance with cleanliness was impossible. In all barracks there was a horrible smell of unwashed bodies and the smell of secretion". The dirt had the consequence that the prisoner barracks were a breeding ground for lice, which plagued not only the prisoners, but also transferred diseases. The diet of prisoners fluctuated . During the period of its existence of Majdanek, from autumn 1941 to autumn 1943 , it was poor and inadequate. Three times a day the prisoners were given a starvation ration . Lunch consisted of a three quarter litre of turnip soup , often prepared from weeds. The dinner (Abendessen) in the camp presented the main meal. It consisted of unsweetened grain coffee and 150 to 200 gram of bread, baked from flour that was mixed with sawdust. Sometimes there was also a slice of horse-meat sausage or a spoonful of margarine. In practice, many detainees were not even given the intended ration to them, either they were passed over by the food bank or the proportion of prisoners was claimed by their functionaries . The ordinary prisoners and especially the "Camp Proletariat " were often condemned to eat the leftovers , which not only resulted quickly in diarrhoea , but also had other tragic consequences : "And the hunger was still raging on. With watery soups and decoctions and microscopic bread rations stuffed us for a moment, but immediately afterwards we felt again with full force a crazy hunger. There were 'sniff specialists' who undertook expeditions to the kitchen waste from which they fished out smelly debris and peelings which they ate. [ ... ] The consequences from consuming this foul pig's fodder was not long in coming. It came on quickly en massed outbreak of diarrhoea , upset stomach, and we had the first deaths". The living conditions in Majdanek were almost all the time about equally bad . It was not until the year 1943/44 , a few months before the camp was evacuated , that a number of improvements had taken place . The camp regiment was less severe, and the functionaries behaved more human . Even their attitude towards the Jewish prisoners who were previously only an object of persecution and abuse , had changed . A Jewish woman who was admitted in December 1943 for the second time into the camp, describes this metamorphosis and concludes : "The blocks were now bright and clean, with toilets and water available. In each block , there were various conveniences, that did not exist before. [ ... ] The food ration was higher. The work was not too difficult . The camp was quiet. In March 1944 , that is, after three months of being there , surprisingly 240 women from Radom came with children and their husbands. Astonished, we looked at the children, they were very well received . The camp administration had them employed in the basket braiding section and the whole camp took a delighted interest in them' . The reason for the high mortality rate in 1942 was the hunger in the first place. A significant number of victims had contagious diseases , especially typhus. At times, this grew into an epidemic , which included the whole camp. At that stage, the disease was threatening members of the camp staff and some indeed were affected. For the prisoners, the typhoid disease often meant a death sentence , since the sick were often shot. Many prisoners also got tuberculosis, which sometimes proved fatal in view of the weak resistance of their poor physical condition . Unusually life-threatening were also the phlegmon and scabies , because even from small skin injuries under the camp conditions could quickly develop in extensive ulcers and infections. Gradual medical care in the form of a hospital , which was called the Revier in Majdanek, (as almost in all other camps), was finally organized. You could at least on a small scale effectively take action in the camp against the spreading of diseases. The living conditions of the sick in the sick-bay area did not differ from those in the normal blocks. Over some time, water was missing, and blocks were swarming with fleas and lice. Supplies of medicines and basic medical equipment was either not enough or missing all together. The prisoner doctors had only very limited ways and means to treat patients. The SS doctors , however, focused mainly on office work and produced reports and statistics for their Orianienburg Headquarters. They visited the areas usually only to perform selections . The most severely ill were then either placed directly into the gas chamber or transferred to the so-called (Gammel) junk blocks . 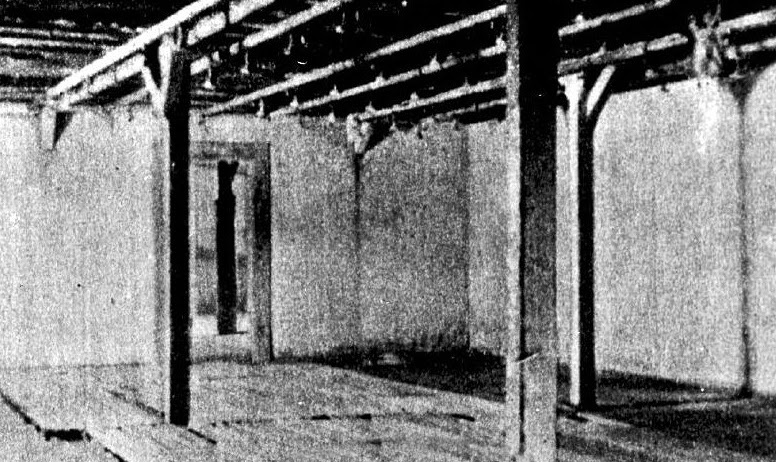 In these death barracks that were specific for Majdanek , lay the sick without any care or food, often naked, covered with dirt and mire . 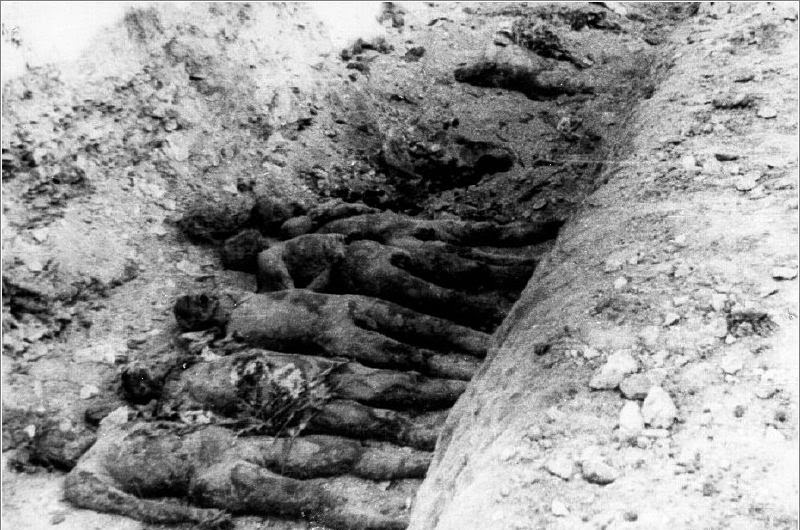 Most died there in agony , others were killed by their block leaders , the rest exterminated after some time in the gas chamber . Most Polish inmate doctors testified that no medical experiments were conducted on prisoners at Majdanek concentration camp. The historical research could not determine that medical experiments had taken place. It is therefore possible that they officially came to the realization that only thermal experiments took place, for which Himmler had given approval on 26 February 1943. As to the places of these 'medical' trials the concentration camps Auschwitz and Lublin had been mentioned. The probability that pseudo-medical bone surgery were performed is also very low. It is certain, however , that treatment methods were tested for infectious skin diseases on prisoners . The doctor Heinrich Rindfleisch selected in April 1942 150 Polish women , whose bodies had formed red lumps (boils) . They were lodged in separate barracks , where they were divided into ten groups , each of which was treated in different ways. Some of the women received gasoline or milk injections. Almost half of the women died. Camp rumours had it that these experiments was a search for an effective treatment method to be used , since similar lumps had occurred even on German soldiers on the Eastern Front . Another prisoner reported that a friend of his was exposed as a "guinea pig" experiment for the treatment of tuberculosis. However, experiments of this kind were an exceptions in Majdanek. They took place on the Initiative of SS- physician Heinrich Rindfleisch who tested among other things, the effectiveness of a vaccine prepared from chicken eggs against typhoid fever in this way. The results of his investigations he used for his preparation on his doctoral thesis in the camp , which dealt with typhus. It is unclear how many inmates were infected deliberately for this purpose or died as a result of the experiments. Chicaneries and torture of detainees was partly as an element of the "Order of Terror", programmed from the higher echelon of the SS and enforced in the form of camp orders. [Although all concentration camps had Administration Manuals issued to them, which covered all eventualities. HKS] On the other hand, tortures were consequences of internal dynamics, whose driving force was the arbitrariness of some members of the SS men and prisoner functionaries. Typical of Majdanek was that the arbitrary violence clearly dominated each sphere of influence, the prisoner functionaries had. There was neither a criminal nor any bunker cells for offenders, but as a German Kapo noted "the beatings of prisoners was on the daily agenda." Among the official penalties, corporal punishment was the most common. It was administered on a specially made stool in the presence of all the prisoners of the field concerned, with canes, lashes or bull whips on the buttocks of the accused. The number of strokes varied between ten and 150, sometimes it was also sometimes significantly higher. "The prisoners received corporal punishment most often because they had secreted money, jewellery, or possessed double the allowance of underwear, or secret messages were found in their belongings, let alone to talk of theft and escape attempts. [...} Most of them knew for what offence they would be punished. At the very beginning they get a bloody blow across the face. Then the command: >Lie Down< . "The camp elder or other Kapos, who had volunteered, started to beat the delinquent, while one would sit on him, thus holding him down". Much less common penalties applied, were the so-called tree-hanging , that is hanging the prisoner tied with his hands together on the back to the "torture stake" (Marterpfahl) , or many hours standing at attention . Everyday it was the dunking of prisoners into the fire-water basin or sewer holes, there were indescribable diverse forms of cruelty and torture. The perpetrators in the first place were German 'criminal' Kapos . Torture victims were prisoners of all nationalities. Most at risk were Jews. The struggle for survival led in some cases to a complete breakdown of normal standards and morals . The most radical situations, was among the prisoners who were constantly treated at the worst by the guards and at risk to finish up in the gas chamber . The deportee from the Warsaw ghetto , Halina Birenbaum stated: " The danger of death and torture meant that the human spirit was blunted any minute in the camp. The animal instinct in man , however, grew and killed the last vestiges of human emotions" . Under the conditions of terror, there was also violence between prisoners of different nationalities. In many barracks, it was a daily occurrence to steal from your fellow prisoners. Antoni Trepinski wrote after his release from the camp in 1943: "Thefts in the barracks were on the daily agenda. Whether one was affected, had to do with who your next mate was. Among the frequently stolen items were food supplies, especially bread crusts". 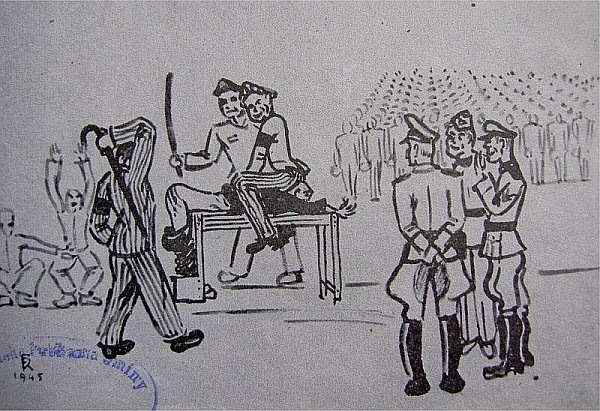 The interaction between the pervasive violence and the behaviour of the prisoners are described by the chronicler of the times of World War II , Louis Landau, in his diary : "In Majdanek, there remained the beatings as a punishment for the smallest offence as a rule, especially in the men's camp . In the women's camp the conditions in this respect were more tolerant. However, in both, one or the other camps, there was a terrible low moral atmosphere so bad, that it is hard to imagine the extent of monstrosities taken place there . The individual is put into a large mass of people , in impossible conditions, the severe and constant danger of death, inmates did not help themselves but tended to fight without mercy against each other. Fraud , theft , and mostly even with the consent of the guards were ongoing as an accepted norm. Trading in the camp was blossoming, you could get everything there with the conniving and participating of the guards, even a desirable orange, if you had the means to pay . And at the same time people would starve who had nothing. Disappear from the camp , certainly, with a corresponding bribing of the guards , money, valuables, dollars, which Lublin was overwhelmed with. And there are individuals who come from Majdanek [...] that made them rich and wealthy". Although by the end of 1943 a period marked clearly of antagonism and struggle between prisoners, yet there were also cases of solidarity behaviour in Majdanek. Closer links were usually within individual groups, such as among the Slovak Jews or the Polish political prisoners. Even among Polish women, there was a friendly atmosphere. They succeeded, thanks in part to the more lenient regime in the women's camp, to create a relatively harmonious prisoner community". Throughout its existence, prisoners were deported to the concentration camp Majdanek on a regular basis. The size of transports was different in their make-up, in particular the deportations of 1942 and those in the first half of 1943 the camp had a massive influx. Looking at the national background, it differed, and can be broken down into four phases: October 1941 to February 1942, March-December 1942, January-November 1943 and December 1943 to March 1944. Between October 1941 and February 1942, Majdanek was under construction. The incoming transports were small and often just improvised. In addition to Soviet prisoners of war a few hundred Poles and Jews from Lublin and the surrounding area and several dozen other prisoners were taken into the camp, especially from the German concentration camps in the Reich, who should have taken over functions in Majdanek. 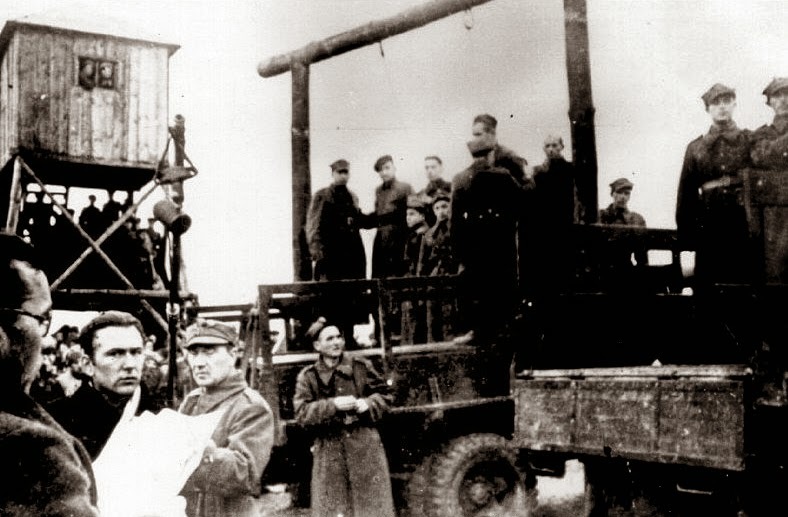 Most Soviet prisoners of war and Jews died or were killed, however, the majority of Poles, were usually released. In the second phase, from March to December 1942 Majdanek served mainly as a place of detention (Haftlager) for Jews and from mid-1942 for Polish Geiseln (hostages). With the start of the fourth quarter 1942 Majdanek was also a concentration camp for Polish and Jewish women. In the men's and women camps a separate numerical system was introduced, with the administration issuing in both cases, only numbers up to 20,000. Consequently, as part of this anomaly, same numbers have been used several times over. In 1943 , the structure and composition regarding nationalities of prisoners changed . By November, Jewish inmates still formed the largest group , but the percentage of non-Jewish Poles increased significantly as a result of mass deportation of political prisoners . Numerically there was a large intake of Soviet citizens , including with them, especially White Russians (Belarus) . From mid- December 1943 Majdanek got an international character. During this time, the so-called recovery camp was built , in fact it became a death camp for sick and exhausted prisoners , which had previously been exploited in the defence industry in the Reich . The largest group in these transports were Soviet citizens and Poles. Among them , however, were also prisoners of other nationalities , particularly German , French, Italians and Yugoslavs . In addition, in January 1944, after re-commissioning of the German Armaments Works GmbH (DAW ) about 500 skilled workers of different nationalities , mainly German , French and Poles were deported to Majdanek . If one looks at statistics , the prisoners were divided in 1942 on the daily strength reports to the headquarters of the concentration camps in Oranienburg into four groups: Reichs German prisoners , Jews, Poles and Soviet prisoners of war. 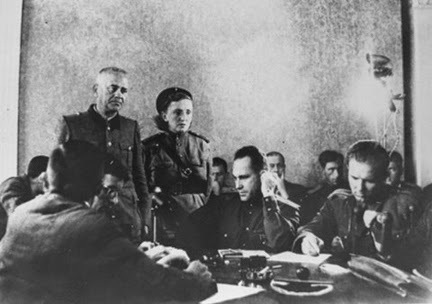 As of 1943, the reports classified Soviet citizen, as " Soviet civilian prisoners " or " Soviet civilian workers " , partly as Ukrainians ( applicable to males) or Russians women. Exact distinctions according to categories of prisoners were employed at this time only in relation to the inmates out of the Reich which were divided into politicals , "criminals" , deserters from the Wehrmacht and "anti-socials ". From 1942 onwards, the Poles were categorized as "hostages" , but the reports on their mortality rate was listed under the protective group of prisoners (Schutzhäftlinge). 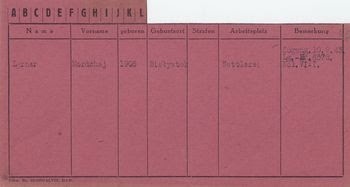 As of December 15, 1943 , when the first transport with seriously ill patients from camps of the Reich arrived , in the daily status reports now appeared the category of "security-preventive detention" which was apparently a new definition . In the preventive detention camp reports, the prisoners were listed and specified in categories by nationality. They were now counted separately , the Polish hostages , Bible Students , Homosexuals and " Asocial " prisoners ( AZR , ASO ) . In the statements , the number of Soviet war veterans was included, but no longer added from December 1943 to the total number of prisoners . Jews were recorded in the daily summary as a single group , but split in the camp reports according to their nationality. In the first months of its existence of Majdanek , the number of prisoners was approximately 1,000 . From April 1942 to March 1943 the occupancy remained on the average under 10,000 people. The number of prisoners increased significantly again in April 1943 , a month later, the number in KL Lublin reached 25,000 people, its highest level . In the second half of 1943 Majdanek was occupied with an average of 18.000 to 20.000 prisoners. After the massacre of the Jews on November 3, 1943, the number of prisoners fell in the last two months of 1943 to about 7,000 . In the first quarter of 1944 , it rose again to 10,000 inmates , but fell from April 1944 as part of the evacuation of the camp . Towards the end of April, only 200 prisoners were left in the camp. 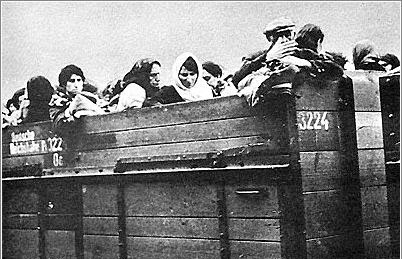 Later, several hundred Jewish men and women came from the camps Blizyn and Budzyn . Half a year earlier it had been muted that the forced labour camps for Jews in the General Government should be converted into satellite camps of the concentration camp Lublin. This plan was not realized until 1944. Consistent with the data from mid-March 1944, following camps were to be added and included in the figures of prisoners held in Majdanek: Lipowa Street in Lublin (660 ) , Radom ( 2,200 ) , Blizyn (3,500 ) and Budzyn ( 2,500 ) . In April, the concentration camp in Warsaw , it was located in Gesia road ( 6,000 prisoners) was also included. The inclusion of these camps was only formal , for administrative reasons, in practice, they remained independent institutions . In fact almost all subcamps of Majdanek continued to exist after the dissolution of the main camp . On 22 July 1944 the last day of the existence of the Majdanek concentration camp, the prisoner roll call stood as follows: Lublin 823 prisoners, Blizyn 2147, Radom 2,900 and Warsaw 5,962 inmates. Report of October 2, 1943, on the number of prisoners of Field III employed in the camp. 4012 prisoners were housed in Field III on that day. 737 of them were delegated to work outside the camp, 1712 inmates were employed within the Postenkette, and 1460 prisoners were in the area of the camp (five prisoners’ fields and two middle fields). 76 inmates were not employed. 27 capos performed various functions in Field III. The commando of carpenters was headed by capo no. 36 (Franc Pejsar from Vienna), the commando cleaning the camp commandant’s rooms by capo no. 181 (Ludwig Tomaschek), and the commando cleaning up sewage pits by Vorarbeiter no. 12370 (Bolesław Kowalek). That day was on of the last days which Kowalek spent in the camp. According to the camp book of deaths, five days later (on October 7, 1943) he had already been dead. In Majdanek registered prisoners died as a result of the disastrous living conditions and intentional killings or organized mass murder. In addition, people were brought solely for the purpose of immediate executions into the camp , especially Jews from the ghetto of Lublin and Poland out of the jail in Lublin Castle . The killing of prisoners was done in different ways . They often died under the blows of the truncheon-baton from function prisoners and SS men, or were killed by lethal injection . In 1942, prisoners were often hanged in the crematorium or in the neighbouring morgue. Killings on a larger scale , however, were held by shootings and gassings. As far as shootings is concerned, these were almost permanently carried out during the entire existence of the camp. However, during the operation of the gas chambers ( September 1942 to early September 1943) they were held only sporadically. The first time this type of killing was done at the end of 1941 on typhus-ill Soviet prisoners of war, part of them were shot by the SS on camp grounds , the others in the nearby Krepieki forest. The shooting of Soviet prisoners of war was continued in 1942 to a lesser extent . One of the greatest actions of this kind was the murder of about 50 prisoners of war in retaliation after a successful escape of their comrades on 15 July 1942. Between June and September 1942, several thousand sick , mostly Slovak Jews were shot in Krepiecki forest that had been selected in the Revier (Hospital) of the camp. A German prisoner who was in that Infirmary in August and September 1942 , witnessed such a selection : "While I lay there once, seriously ill people , you can say half-dead and dead people , were loaded onto a truck and taken down into a wooded area, shot and be buried there . From hearsay , I know, that this happened at that time repeatedly". A year later, the shootings of prisoners was further reinforced . On September 21, 1943, the SS kills 23 members of the Sonderkommando , which had been active in the gas chambers and the crematorium . This execution made ​​certain extent the prelude to " Operation Harvest Festival " , the mass shootings of Jews. On September 3, 1943, 3402 people were detained in Field III, including: 503 prisoners employed in working squads outside the camp; 630 prisoners employed within the Postenkette [circle of guards]; 2168 prisoners working within the camp; 29 kapos who oversaw working squads outside the camp. 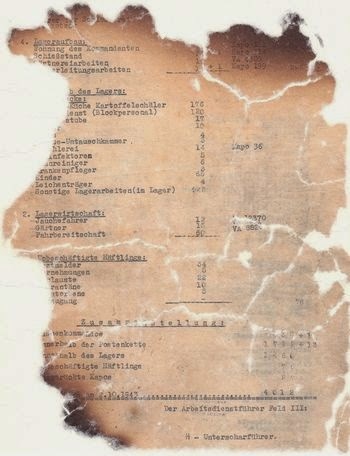 From the document it can be inferred that on September 3, 1943, the working squad “Fahrbereitschaft” was made up by 60 prisoners (car mechanics) and 20 prisoners were employed as gardeners in the working squad headed by a VA (Vorarbeiter) marked with prisoner’s number 8830 – Jerzy Kwiatkowski, author of memoirs entitled “485 dni na Majdanku. This massacre was part of the program to exterminate the Jews in the General Government . In the Lublin district alone about 42,000 Jews were murdered on orders of Himmler in several camps . There are many indications that Himmler wanted them eliminated not only for ideological reasons , but also out of a "sense of honour"(Ehrgefühl) . He wanted to prevent the Defence Industry to take over Jewish workers. Towards the end of August 1943 Globocniks successor Jokop Sporrenberg as SS and Police Leader, received from Himmler the order for the extermination of the Jews. In Majdanek, the camp began preparations for the executions . The Gestapo in Lublin ordered to dismiss the Jewish prisoner functionaries and replace them with "Aryans" . On September 30 , 1943, the resistance movement within the camp reported that "all Jews were to be removed from the Staff Offices, the Postal Service Section and replaced by Poles ". Two weeks later, they informed all, that the camp commander had been suddenly ordered to Berlin and one could look forward to important events in the camp in the coming weeks. This visit (of the Kommandant) took place on October 16, 1943 , two days after the prisoner revolt in Sobibor extermination camp . This uprising accelerated and decided the murder of the Jews in Majdanek . At the end of October 1943, three graves were dug near the crematorium , which were intended as the execution site . On the 2nd November, a meeting was held in the staffroom of Sporrenberg , Martin Melzer attended these discussions as representative of the Commandant of Majdanek. 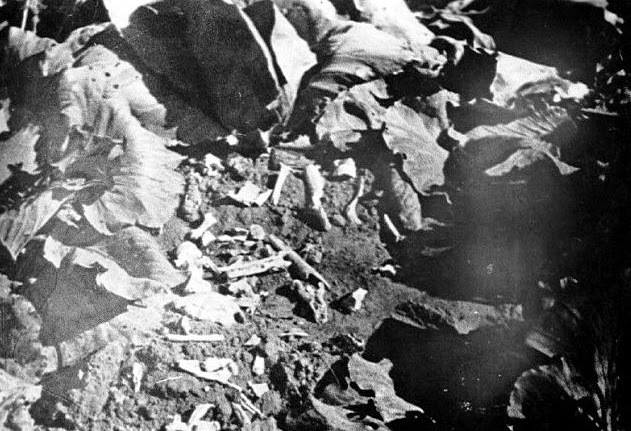 Bones of victims of the Majdanek camp, in a cabbage patch"
After "Operation Harvest Festival"(Aktion Erntefest) prisoners were shot only in isolated cases, mainly individuals sentenced by the RSHA (Reichs Security Department in Oranienberg) to death. In contrast, executions of detainees held at the Lublin castle or in the Lublin region because of partisan actions, increased. According to an memorandum of Hans Frank dated October 2, 1943, persons under suspicion of "attacks on the German construction work in the General Government", were to be sentenced to death. One of the places of execution was Camp Majdanek. From autumn 1943 to July 1944, on the basis of this arrangement the condemned (without trial) were brought in smaller or larger groups in "death transports" into the camp and shot at the crematorium or in pits located next to it. It is estimated that these executions amounted to about 3,000 victims, including women and children. The killings in the gas chambers of Majdanek were held on the orders of Globocnik, who as already emphasized, often used the concentration camp Lublin for his own needs and made ​​it an important element of "Aktion Reinhardt". The killings by gas was started probably in September 1942. They ended up in the first days of September 1943. The peculiarity in Majdanek in the application shows the use of two toxic gases. Carbon monoxide (CO) and Zyklon B (HCN). 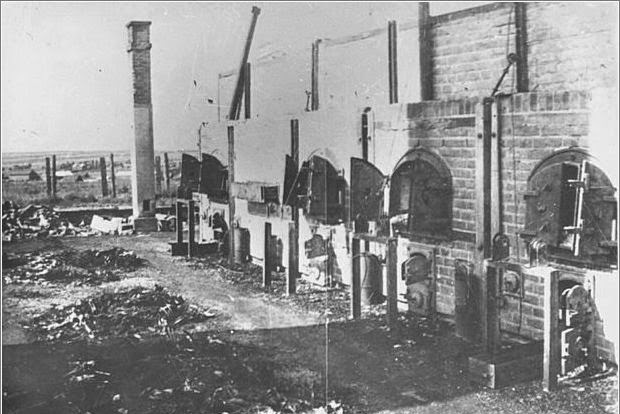 The use of carbon monoxide is evidence of the involvement of "Action Reinhardt" in Majdanek as a method of extermination. 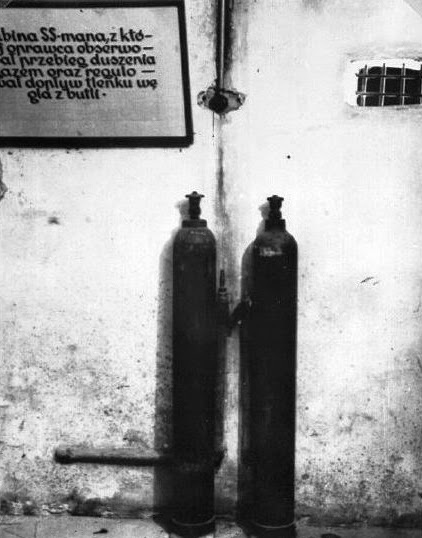 Zyklon B on the other hand of connection with the murder methods in the concentration camp Auschwitz-Birkenau. In other words, it was either copied or instructed to be used, on orders of Globocnik. 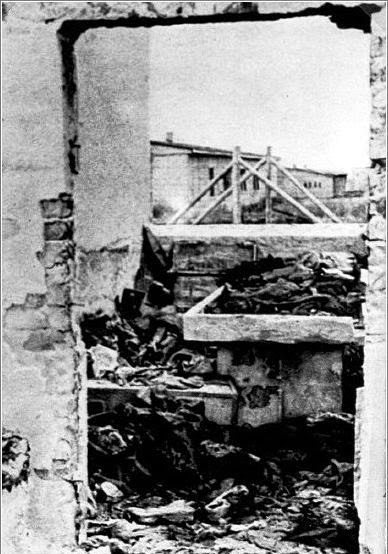 The gas chambers were set up in a small brick building that was located directly behind the men's wash-room (No. 41) and far away from the woman's wash-room (No. 42). The building should have been originally a disinfections facility. During the construction work, probably in August 1942, small changes were made to make it into its new role, to adapt it, to kill people. The building had a protruding roof over it, to the original planned provision, protecting disinfected clothing against rain. 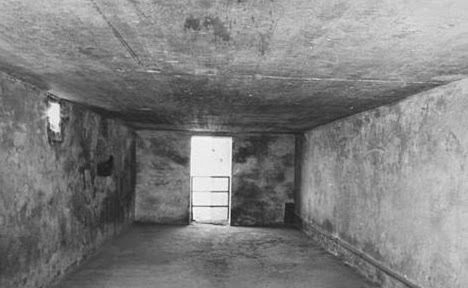 However, while the use of the chambers was now intended to exterminate people, it served just as camouflage. The system consisted of four rooms: three chambers and a small annex, the cabin for the SS personnel, in which steel cylinders were stored with carbon monoxide. In the ceiling of one chamber was a shaft connected to an opening to pour the diatomaceous (Kieselgur) earth-bound gas. Apart from that, this chamber, as well as in the adjacent one, pipes were connected to the steel cylinders from the cubicle next to it. In both chambers people were killed by gas. 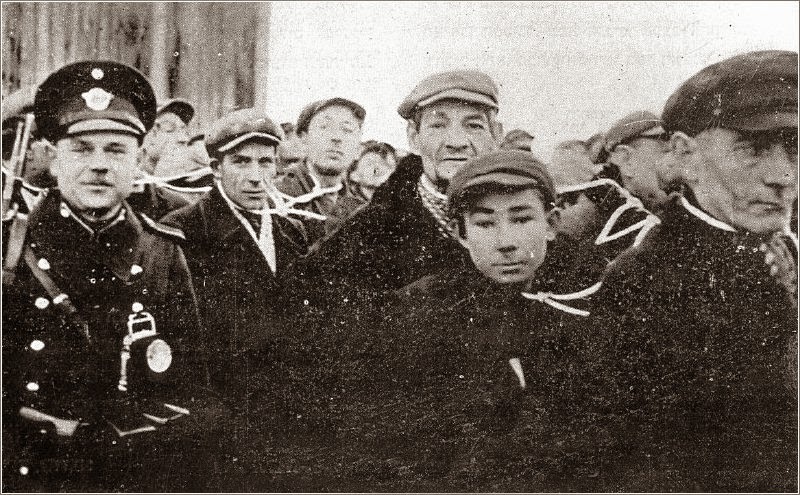 For newly arriving transports, the Jewish prisoners were exclusively selected from others. These selections took place mostly on an area next to the woman's wash-room (Barrack 42) , which was called the rose garden. The description rose garden stemmed from the prickly spines of climbing roses on the fence that surrounded the selection square . [Some sources claim, the Germans named it such, after US President Roosevelt, whom they believed was a Jew.] 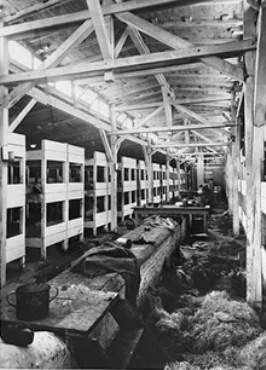 Larger groups of prisoners were housed prior to selection on Intermediate field II . During 1942, the SS selected only sporadically newly arriving transports because most of them had already run through a pre-selection process at the railway ramp at the airfield . From April to August 1943 almost all incoming transports with Jewish prisoners were subjected to selection one way or other . Especially children, the elderly and sick or exhausted women were gassed in the evening or at night. The next morning their corpses from the gas chamber were incinerated in the camps crematorium or burned on funeral pyres in the Krepiecki forest. Of the 15,000 Jews, from the Warsaw Ghetto deported to Majdanek , 4.000 to 5.000 died in April and May 1943 . From the camp inmates , especially the sick and those unable to work were threatened with death in the gas chamber . In 1942, selections took place regularly, 500 to 600 people died weekly in the gas chambers. In the first months of 1943, selections were held in the camp haphazardly among male prisoners. They increased during a typhoid epidemic. These selections did not concern Jews , rather other prisoners , mostly Poles. They chose especially older , frail and debilitated people for the chambers . 1942 and early 1943 every two weeks selections of patients took place when 30 to 40% of the incurable were selected for the gas chamber . The actions in February and March 1943, when many Poles arrived from the Pawiak jail in Warsaw were among the victims. During the selection at the infirmary, prisoners had to appear before a Commission for assessment , "and the German doctor decided at a glance which patients had to go into the gas chamber" . 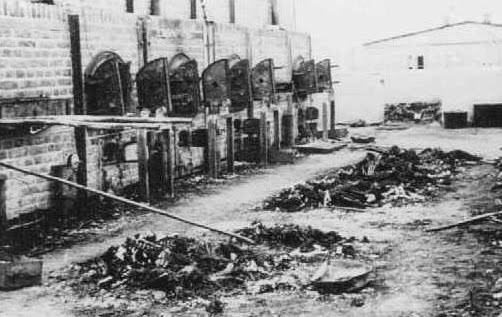 The killing of sick non-Jewish prisoners at the Majdanek gas chambers was stopped by the end of April / beginning of May. Undoubtedly, this was a consequence of the Himmler order of the 27th April 1943 which stated that within the framework of action " 14f13 " only mentally ill prisoners should be liquidated in the future. In the women's camp the selections affected exclusively Jewesses. Quite often they took place in the summer of 1943 , especially in late May/early June. They usually chose sick , and exhausted women. Particular attention was paid to the condition of their legs. This was often a decisive criterion for the classification of those capable of working and not able to work. Many Jewesses who had been deported after the uprising in the Warsaw Ghetto to Majdanek, had a number of burns and bruises . For them, this meant the inevitable death sentence. "The selection took place after the Jewesses were set up in rows of five in the middle of the field. The women of other nationalities were excluded at this time and kept in their apartment blocks . The field was actually a roll-call square and was located between two rows of blocks . "From the windows we saw the whole course of the selection. The German Selection Committee chose two ways in their method . There was a group of Germans , that is, Dr. Blanke , Mrs. Ehrlich and some SS men , who walked between the rows along and judged by eye contact who was unable to work. It also happened that completely young , but haggard women were screened in this way. The screened women had to stand aside and were escorted later by SS men straight to the gas chamber. The second method the Commission applied, was, that the Jewish women ran in single file at a fast pace, past Dr. Blanke and the other Germans. This then brought out those who they considered as 'unpleasant' in looks . After a selection such as this, the whole roll-call place (Appellplartz) was full of bandages . The Jewesses had the bandages removed because of the fear, the Germans would notice them immediately , which would have meant the end for them". In Majdanek, Jewish children were also exterminated in the gas chambers. Most of them died immediately after their arrival in the camp. A few times a small part of children were allowed to stay in the camp , and taken into the woman's section, housed in a barrack in a field separated with barbed wire . In these groups were a few dozen to several hundred children with a high number of infants and young children who had been deported with their mothers. After some time the SS conducted the "Kids Actions " . They loaded the children onto trucks and took them into the gas chambers. The women who had cared for them, in most cases died with them. "While they went to their deaths , the children looked at the crowd of women standing around the trucks and tried to sought out their mothers, with a little crying, as they were confused at the mournfulness of the mothers. The vehicles disappeared behind the gate, and with them shaggy heads, bows and ribbons . A few hours later the pyre burned on the sixth field, stacked with stiffened small bodies, yellowed by gas .